Students are introduced to the amazing natural order of our planet in order to inspire in pupils a lifelong curiosity and fascination about the world and its people. Students are equipped with knowledge about diverse places, people, resources and natural and human environments. This knowledge will deepen their understanding of the Earth’s key physical and human processes and instil a sense of enquiry about the interaction between physical and human processes. At the end of Year 9, students are taught the first unit of the GCSE course in order to prepare them for the rigor of Key Stage 4. How is Asia being transformed? 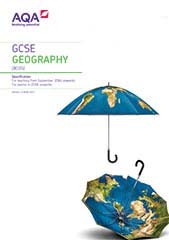 GCSE Geography students build on their previous knowledge, revisiting some topics in greater depth as well as covering new ones. This includes the investigation of contemporary challenges, both in the UK and internationally, and the evaluation of sustainable solutions to overcome these challenges. In addition, students develop the ability to interpret, analyse and evaluate data and evidence in order to construct a well-reasoned conclusion. Students will also develop their statistical and graphical skills; Mathematics is an important component of the course. Students explore and evaluate a variety of historical periods to gain an insight into the development of modern Britain. The course will start with Britain before the Norman invasion and progress to the Tudors, the English Civil War, WW1 and WW2. Students critically analyse and evaluate in order to reach a well-reasoned conclusion. In Year 9, students are taught the first unit of the GCSE course in order to prepare them for the rigor of Key Stage 4. GCSE History students build on their previous knowledge, refining and developing the key skills: analysis and evaluation. Students develop a sense of enquiry by exploring how significant historical events were, analysing factors leading to and surrounding these events and evaluating the reliability of accounts and sources. Students must also structure extended answers effectively in order to reach independent, well-justified conclusions. Students learn the core components of a diverse range of religions. Students also consider moral and ethical issues, presenting and justifying their own personal opinions and considering what various faiths believe in relation to the topic. Students are taught to accept differing opinions to their own and to treat all views with respect. Students explore a wide range of ethical and moral issues, considering what various faiths believe in relation to the topic and presenting and justifying their own personal opinions. Topics covered are complex and challenging, reflecting students’ growing maturity and the huge range of contemporary moral issues they will face in later life. These include: homosexuality, contraception and IVF, abortion, marriage, euthanasia and the media.